By now you’ve likely heard of the quarter-life crisis — a period of insecurity and doubt that many people in their mid 20s to early 30s go through surrounding their career, relationships, and finances. Chances are good you may experience your own. In fact, 75% of 25-33 year olds have experienced a quarter-life crisis, often related to feeling like they are at a crossroad in their career. 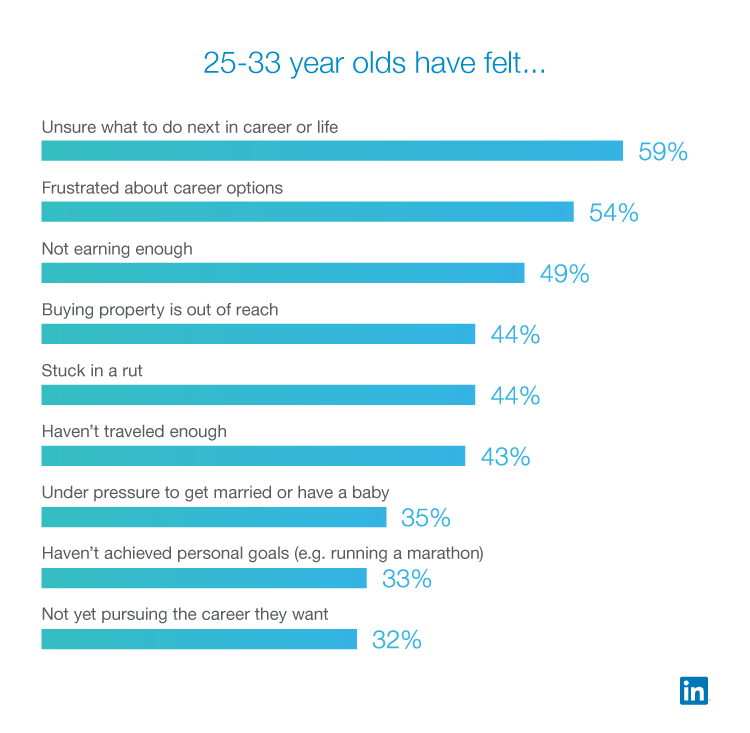 We took a look at this phenomenon and talked to thousands of professionals globally on whether they’ve experienced a quarter-life crisis, what triggered it, and the career implications. Here’s what we discovered, along with tips for how the LinkedIn community can help you navigate this stage in your life. While most people have experienced a quarter-life crisis, what exactly is causing this anxiety? Sixty-one percent say finding a job or career they’re passionate about is the number one cause. Another top reason is comparing themselves to their more successful friends. Nearly half (48%) say this has caused them anxiety, with women feeling this even more than men (51% vs. 41%). People in this age range feel a lot of uncertainty and frustration around their careers, even more so than pressure around their relationships and personal life goals. #Tip: Remember that everyone is at a different stage in their professional journey. Think about what makes you happy in your career and beyond, and establish goals that help you work towards your definition of success. Going through this stressful period can lead those in their 20s and 30s to make big career and life shifts that impact their professional world. More than one-third (36%) have entirely changed their careers, switching to new industries and different roles. Although career pivoting is prevalent among 25-33 year olds, this may be more of a result of the changing workforce — LinkedIn data shows that job hopping overall has doubled in the last year, and more than two-thirds of job changers have pivoted careers. 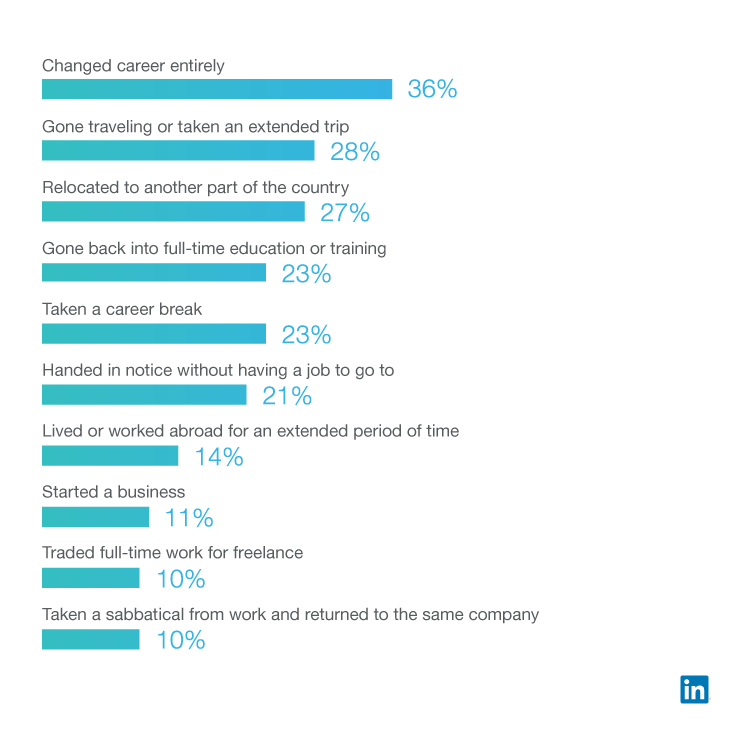 Nearly one-quarter (23%) have taken a career break during this period of uncertainty, taking time off from work to reevaluate what they want to do. One in ten have switched from full-time work to freelance or temporary work assignments. While there isn’t one simple solution to getting over a quarter-life crisis, getting advice from people that have had similar experiences can help when you’re at a crossroad in your career. Our research found that people are looking for advice, but are unsure of where to turn. Although more than one-quarter (28%) of 25-33 year olds know what their dream job is, they’re unsure how to approach a career move. On top of that, 56% want advice to figure out what’s next, but don’t know where to go for answers. Forty-one percent feel they aren’t getting enough support at work to help them progress. 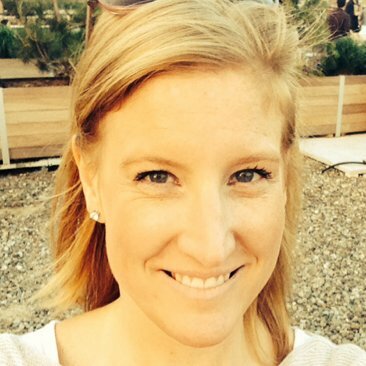 Forty-three percent would like to find a career mentor but don’t have the right connections. To address this and make it easier for people to connect with one another for lightweight mentorship, we launched a new Career Advice feature that can help. If you’re interested in making a career switch, looking for salary negotiation tips, or need help with work life balance, you can use Career Advice to find professionals on LinkedIn who can help based on what type of advice you need and mutual interests. Getting this unbiased point of view from someone with the right experience can give you a fresh perspective and sound advice – it’s likely they’ve been in the same situation as you before! Whether you’re experiencing a quarter-life crisis or not, getting career advice can give you fresh perspectives, expand your professional network and maybe even help you land your next opportunity. We hope you’ll try out the Career Advice feature, you never know where it might lead! Methodology: This online survey was conducted by Censuswide on behalf of LinkedIn from October 31-November 3 among 6,014 respondents aged 25-33 across the United States, United Kingdom, India and Australia.